Colors and finishes will vary from pictures. Contact ROOFBLOK Sales office to request physical samples. 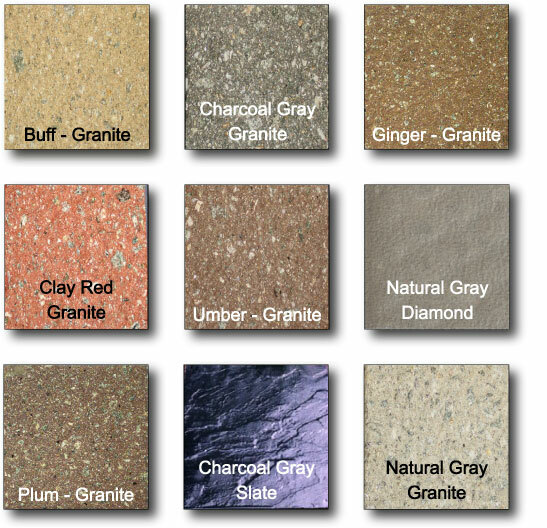 Due to the nature of concrete construction, color shades vary by lot, aggregate source and manufacturing location. Not all sizes, colors and finishes are available from every manufacturing location. Please contact ROOFBLOK for details. Efflorescence, a naturally occurring, whitish, powder-like deposit may appear on any concrete products during or after the curing process. This usually wears off over time or can be removed chemically. Send mail to info@roofblok.com with questions or comments about this web site.